5 Things the Church could Learn from Star Wars – Updated Edition! December 13, 2015 September 16, 2018 Categories People, PracticeLeave a Comment on 5 Things the Church could Learn from Star Wars – Updated Edition! The anticipation for Star Wars: The Force Awakens is unprecedented. With ticket pre-sales setting new records, it is poised to unseat Avatar as the most profitable movie ever, barring bad reviews and/or word of mouth. A well-orchestrated marketing push has only amplified the hopes of fangirls and boys, many hoping to have the prequels wiped from their memories. The Star Wars universe provides a rich tapestry with many parallels to our own. The spiritual themes present throughout the films aren’t a direct analogue to any one faith but speak in very real ways to many (even as a number of these adherents may be the Star Wars equivalent of Christmas and Easter believers). The following post was written upon the release of the second trailer for the film last Spring, which in itself became a cultural moment. It contains several points which, many trailers later, still stand true for the upcoming film (and the church too). You’ll also find links to a couple other Star Wars themed posts just below. Enjoy, may the Force be with you, and remember, Han shot first! The internet nearly exploded last week with the release of the second teaser trailer for Star Wars: The Force Awakens (if you haven’t seen it yet, stop reading this and watch it immediately). People certainly welcomed the first trailer when it was released in November of last year, but there was a substantive difference in the excitement this one generated. With the new Star Wars film, director J.J. Abrams, is navigating a difficult path. He has a new story to tell in a universe that already includes 6 films, an abundance of other media products, and a strong, opinionated fan base. To be successful, he needs to reach a new generation of people without alienating those who have already fallen in love. George Lucas, Star Wars creator, proved how difficult this task was when he released the first prequel, The Phantom Menace, in 1999. He then reinforced the point with the next two films. Technical achievements they were, but strong in the force, they were not. Many church leaders are also called to walk Abrams’ difficult path, to reach new people without alienating those who already call the church home. In attempting to describe his success thus far, The New York Post generated a list of the 5 things they felt this trailer got right. As my inner sci-fi nerd compelled me to read that list, my inner church nerd forced me (pun intended) to write this adaptation using the 5 things they named. The NY Post notes that the “Episode VII world feels much more gritty and real than the glossy, video game-esque environs of George Lucas’ three prequels.” One of the biggest turnoffs of the prequels was their over reliance on special effects and an addiction to the absurd. The second trailer, and Abrams work on the recent Star Trek movies, are encouraging to fans who want to see a more refined adaptation of this cherished franchise of their childhood. In the church, we are also tempted toward the dark side in this area. For example, while visual technology has a natural place in some settings, in others it can take people out of a worshipful experience for a number of reasons. The careless adoption of projections/screens by those seeking to reach young people has caused unnecessary pain and conflict; much like Jar Jar Binks. Does this mean we shouldn’t use new technology in worship? Absolutely not. But when we do so, we need to ask good questions. Can we do it well in our space? Have we consulted with a designer? Do we have the team/talent in place to create media that will truly augment our worship? Will the substance it adds outweigh any distraction it provides? 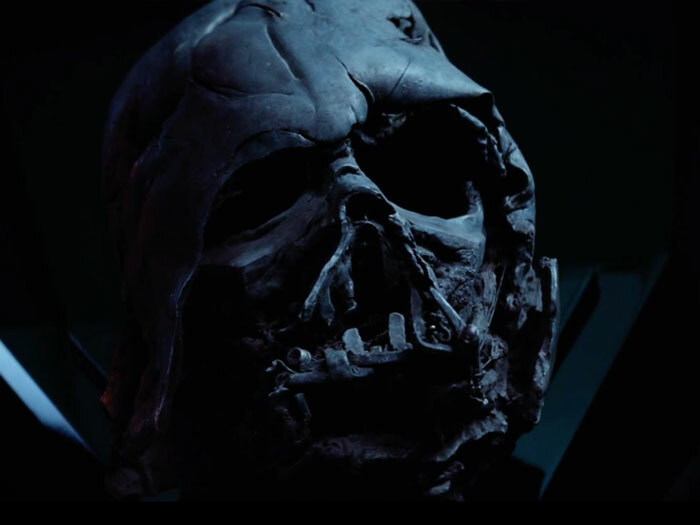 There were several eye-popping moments in this second teaser trailer but few could compare with the shot of Darth Vader’s melted helmet. Recognition and questions immediately popped into fandom’s collective mind. Is this the same helmet Luke burned on Endor after his father died? If so, who recovered it and to what purpose? The church has a rich history to benefit from as well. When we are able to nurture a healthy appreciation and knowledge of where we have been, without getting stuck in the past, we bless ourselves with wisdom and an ability to anticipate likely futures. Admittedly oversimplified, Protestants tend to neglect the lessons of the past 1900 years while Catholics can become enamored by them. A new hope for the church will be realized when we reach a healthy balance in our appreciation for the traditions we’ve inherited across the centuries and those we’ll need to adopt moving into tomorrow. As the NY Post put it, the trailer reveals that in Episode VII, “Most of the crafts, uniforms and environs feel familiar — yet different.” Judging by what has been revealed so far, Abrams has been successful in balancing the desire for something new and exciting without sacrificing ties to the past. 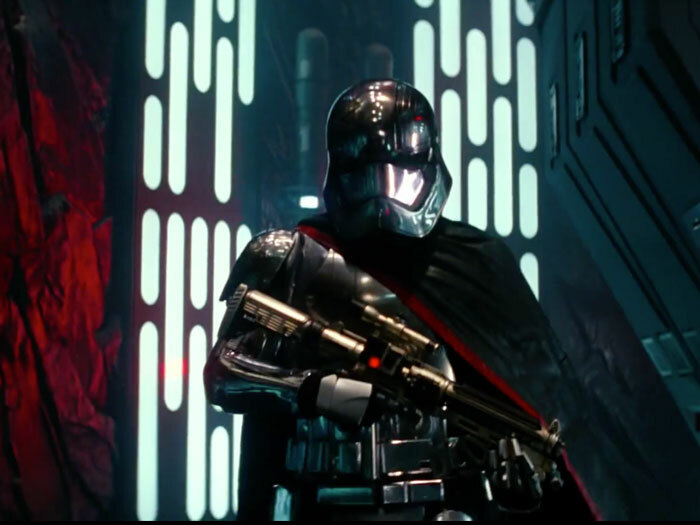 And who wasn’t excited by that chrome stormtrooper? Change is an essential part of all living organisms, including the church, but navigating change can be difficult and fraught with peril. While different people have varied change thresholds, change that is iterative allows us to move forward with more confidence and familiarity. Good leadership is provocative enough to keep people a little uncomfortable so that assumptions and preferences never coalesce as truths. Disruptive change may still have its place, particularly in faith communities that have avoided iterative change for too long, but our goal should be practice that builds openness into our corporate DNA so disruption isn’t necessary. As news began to trickle out about the new Star Wars films, the return of a number of the original cast members was met with intense excitement. Still, that enthusiasm has a cost. Abrams faces a daunting task of introducing new characters, the next generation so to speak, while the fans are anticipating most feverishly, the return of the past. It was likely no accident that the first trailer didn’t feature any of the original cast members and that their presence was reserved in this one as well. While it is likely that they will play a significant role in the next movie, we should expect Abrams to be deliberate in his transitioning from the franchise’s past to its future. Look to see the spotlight upon the newer members with carefully crafted connections, both biological and quasi-spiritual, to the old. Of course we struggle with many of the same issues in the church. Few things are harder for a community to adapt to than a new pastor after a long term, popular leader moves on. The refusal of that former pastor to step completely out of the spotlight, lingering like an unhelpful force ghost, can transform hard into nearly impossible. We can even see this on a different level as we look at transitions in leadership generationally. As boomers head into retirement, many institutions are experiencing difficulty as Gen Xers have been overlooked, and Millennials aren’t always well prepared, to assume the mantle of leadership. Graceful transitions are too rare in the church as feelings of responsibility and a desire to leave a positive legacy conflict with the natural need to let go. Even Luke Skywalker can’t live forever. Perhaps the best gift would be the deliberate, and consistent, lifting up of promising members of the next generation(s), and the intentional work of casting their new leadership as the next logical step for the church. Significant roles remain then for elders to coach, mentor, and support from the background, like Yoda on the swampy planet of Dagobah. The crescendo of this second teaser trailer is the first appearance of two fan favorites from the original trilogy: Han Solo and Chewbacca. As if to reinforce the point, Han Solo proclaims, “We’re home,” and all Star Wars fans respond, “Amen!” We should be impressed with this scene for a number of reasons. Abrams displays a disciplined awareness of the key emotional resources of the Star Wars franchise. Despite the numerous special effects, metaphysical concepts, and pseudo-science found throughout, our affection for Star Wars is connected not to the caliber of the ideas (cough…midi-chlorians), or stimulating visuals, but to the characters who resonate so deeply with us. This flashing appearance of Solo and the Wookie provides a singular moment of emotional connection that could have redeemed a lesser trailer, though thankfully it didn’t have to. The church could also benefit from a more disciplined awareness of what connects people to and through it. While I’m not suggesting that we reserve our use of Jesus to a few key frames in the life of the church, we do tend to use Jesus carelessly at times in a way that diminishes His impact and distorts our message. It would be hard to find many issues in the contemporary Christianity where Jesus hasn’t been carted out in support of and opposition to. To the outsider, this offers a Christ who stands for everything and nothing simultaneously. What if we disciplined ourselves to own our beliefs and positions more, and project them less upon Jesus, especially in the many cases where He never directly addressed the topic? Photo Credit: Screen Grab from “Star Wars: The Force Awakens Official Teaser #2” Jesus added after the fact.